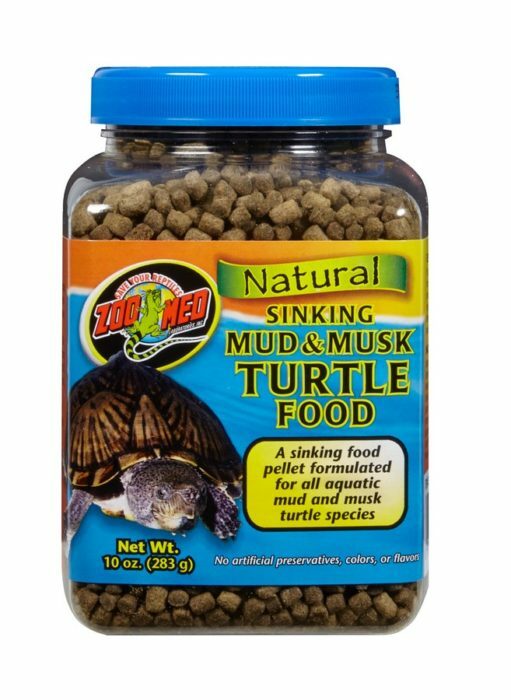 Natural Sinking Mud & Musk Turtle Food | Zoo Med Laboratories, Inc. 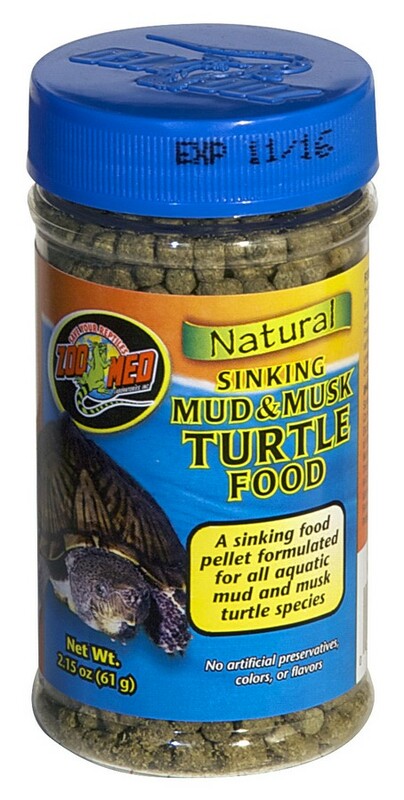 This food is formulated for aquatic turtles with a shell length of 2 inches (5 cm) or larger. To feed, open the container and add a small mount of pellets to the water. Feed once or twice daily, only as much food as turtles will eat in approximately 5 minutes. Remove and discard any uneaten food after one hour. For best results, store food in a cool, dry place. Natural – No artificial preservatives, colors, or flavors. Soybean Meal, Wheat Flour, Fish Meal, Wheat Mill Run, Corn Gluten Meal, Fish Oil, Dicalcium Phosphate, Kale, Lecithin, Bentonite, Calcium Carbonate, Dried Kelp, L-Lysine, L-Ascorbyl-2-Polyphosphate (Source of Stabilized Vitamin C), Choline Chloride, Vitamin E Supplement, Niacin Supplement, d-Calcium Pantothenate, Riboflavin Supplement, Thiamine Mononitrate, Biotin, Pyridoxine Hydrochloride, Folic Acid, Vitamin A Supplement, Vitamin D3 Supplement, Vitamin B12 Supplement, Manga- nese Sulfate, Zinc Sulfate, Ferrous Sulfate, Copper Sulfate, Sodium Selenite, Potassium Iodate, Propionic Acid (preservative).